Counsellor to the Embassy of Spain in Ukraine, Tamara Zabala Utrillas, talks about the Las Meninas de Canido project – an attempt to transform a city through art. The Las Meninas de Canido project was launched in 2008 by the artist Eduardo Hermida. He proposed to paint the walls of abandoned houses of the Spanish neighbourhood of Canido, which had symbolised ruin and decline for a long time. 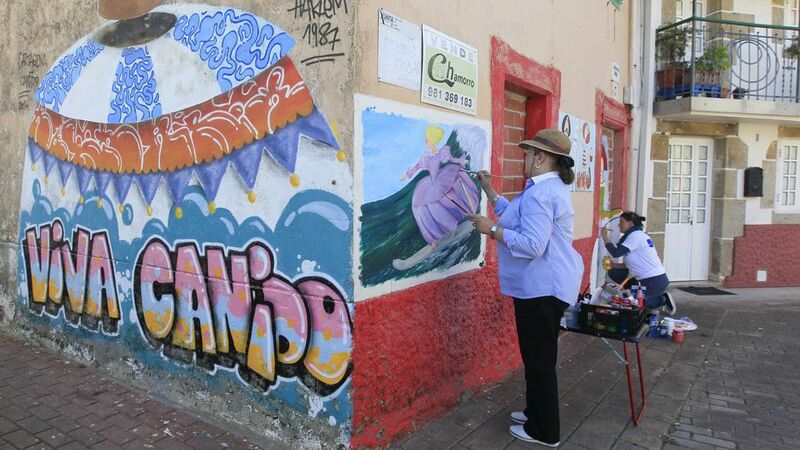 The Las Meninas de Canido initiative became a way of expressing the need to restore the true living spirit of the neighbourhood and give new generations hope of a better life. The project attracted the attention of more than 500 artists from around the world to take part in it, and completely changed the life of the once abandoned neighbourhood. Canido’s population has grown from 200 to 10,000 people, and now mostly young people live here. Local activists are continually organising theatre, music and poetry performances and conducting master classes and street sales. The paintings on the neighbourhood’s walls attract many tourists. Last September alone 20,000 people visited Canido! Moreover, Las Meninas de Canido has its own Facebook page. Information about the project spreads around the world from one person to another. Spain has many similar lively, creative and original examples of how culture has been able to change the life of entire cities. Take for instance Bilbao. It turned into a cultural destination for tourists thanks to the opening of the Guggenheim Museum, the most avant-garde museum of contemporary art in the world. It was designed by the famous Canadian-born American architect Frank Gehry. The Museum attracts millions of tourists from around the world to the city. Many of Spain’s cities, like Saragossa, Seville, Madrid and Barcelona, have made culture an important part of their social life and this has a significant economic impact – culture makes up 4% of Spain’s GDP. The Las Meninas de Canido project is both interesting and important for many countries. This experience can be used to transform other urban neighbourhoods into creative and positive spaces. The hope exists that artists, activists and government officials who learn about this initiative would be able to repeat it in other cities around the world.